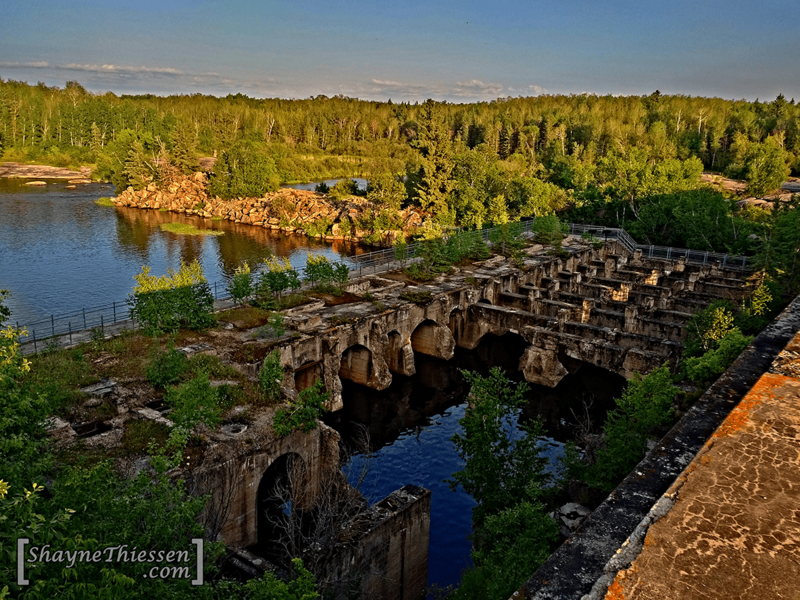 Built over a century ago, Pinawa Dam was Manitoba’s first hydro-electric generating station and the first year-round hydroelectric power dam between the western Rockies and Sault Ste. Marie. 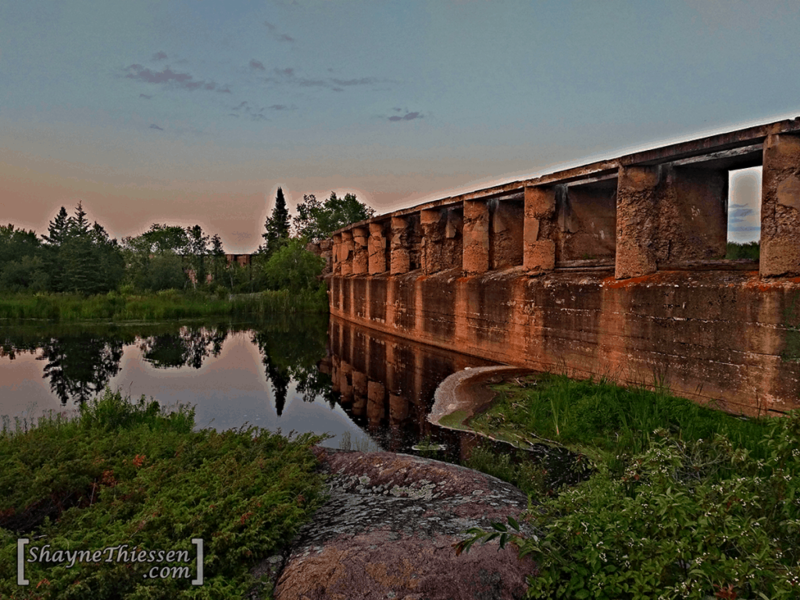 Pinawa Dam was build to suffice Winnipeg’s increased electricity consumption. 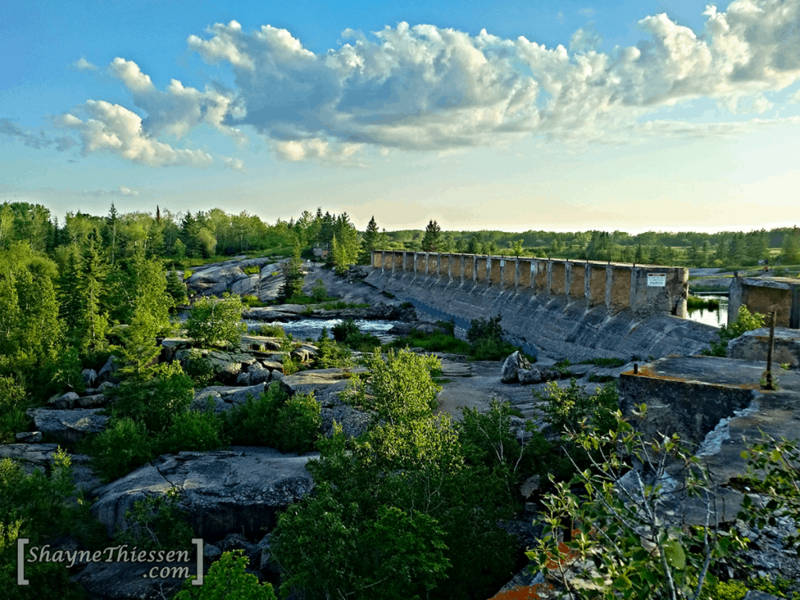 Pinawa Dam was decommissioned in 1951 and was replaced with a larger generating station that is located downstream. 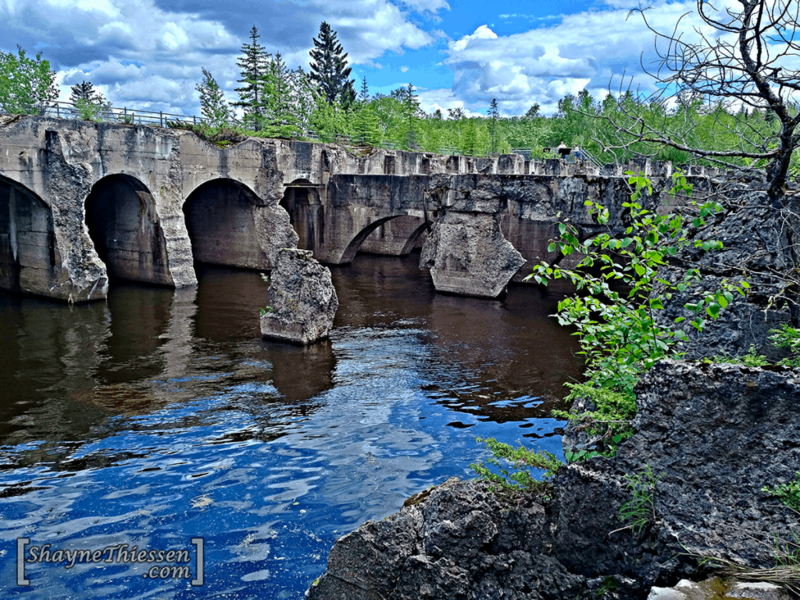 After its decommissioning it was briefly used as an ammunition’s test site for the Canadian military. 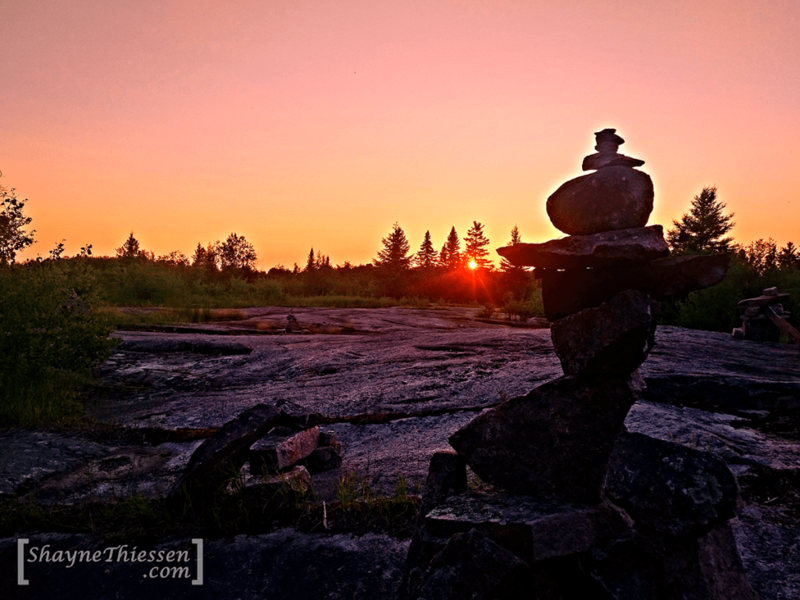 Today Pinawa Dam is slowly being reclaimed by nature. Plants and trees are growing on top of the cracked concrete. What’s left of the battered and crumbling structure has an eerie resemblance to that of an apocalyptic movie. 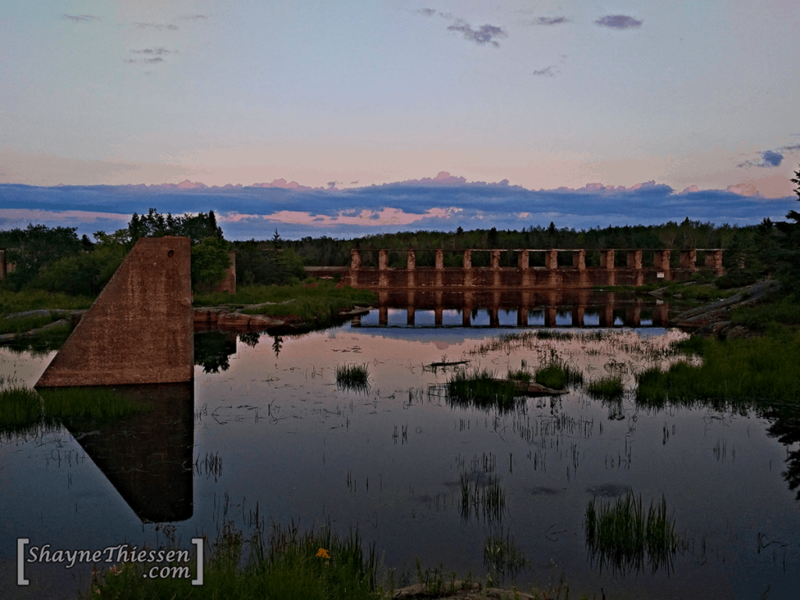 Pinawa Dam is located 8 kilometers north of the town of Pinawa, and approximately a 90 minute drive northeast of Winnipeg. 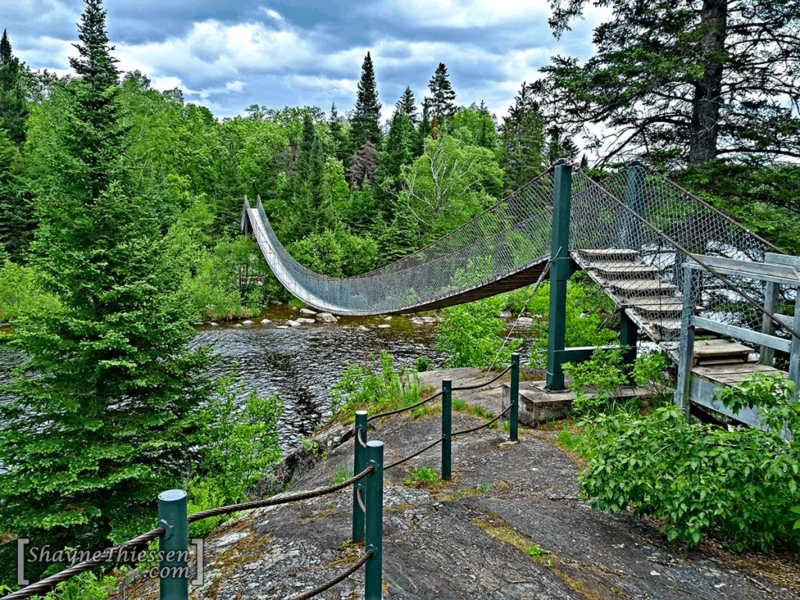 The suspension bridge, featured in the last image, is located approximately 1 kilometer north east of Pinawa. The bridge was built by volunteers and was made open to the public in 1999.